Forget about those angels that are trying to steal your blue suede shoes. Imps and devils are going to comes after these puppies. With the cut and the color, these shoes are made to impress both heaven and hell. Though, as a rule angels simply don't wear red. The imps won't hesitate though so watch yourself. These shoes are so shiny that you'll see them creeping up behind you so that you'll have plenty of notice. When you slip these on you might find that you have dancing skills you didn't know you had! You thought you were just going to look swell but now you're foxtrotting down the street like you just hopped out of the silver screen. 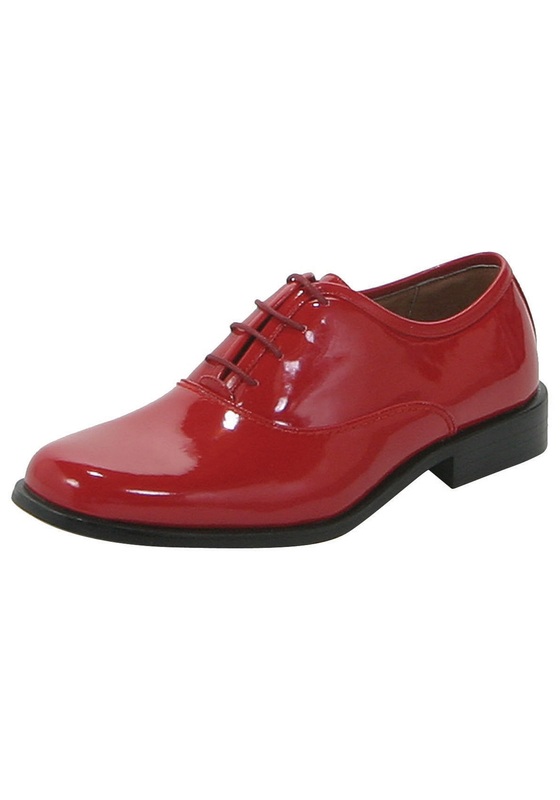 What else can we say about these red tuxedo shoes. They're red, they're shiny and people wear them on their feet, although we once saw a guy try to wear them on his hands. So, put them on your feet and just keep an eye out for those imps!